Unless you’ve been wandering lost in a desert for the past year, you are aware that the publishing industry is rapidly changing. With it, the number of self-published, small press, ebooks, and traditionally published books being published each week is dramatically growing. What does this mean? More people are trying to gain the reader’s attention. The same reader we want to check out our own new release. Covers are important. If your cover looks amateurish, no one (other than your mom) will be interested in your book. When you send the JPEG file to be used on a blog, make sure you send one of high resolution; otherwise, it will look blurry and amateurish. If you plan to self publish your book, invest in a professionally created cover. A compelling title always tromps a dull one. Study titles in your genre and figure out which ones grab your attention and which don’t. Why is one more appealing than another? Apply what’s you’ve learned to your own title. After you create a list of potential titles, google them to ensure every other author in your genre hasn’t used the same ones. You want it to stand out and be unique in case the reader can’t remember your name but remembers the title. Make sure your blurb is tight and interesting. If your blurb is dull and vague, I’m not going to read your book. I’ve seen a number of self-published books lately with great covers and boring blurbs. Use power words that hook the reader. For example, hidden room, strange fascination, obsession, horrifying discovery, chilling truth, terrifying events, mysterious disappearance, twisted legacy, malevolent life of its own, a bottomless hunger for new victims (In the Dark of the Night by John Saul). Don’t irritate people with your promotion. This is a serious issue with Twitter and Facebook. It’s also becoming a problem on Goodreads. If you want people to pay attention to your new release, then please avoid spamming. If you DM someone who just followed you back on Twitter, you can guarantee they WON’T read your book (or blog) if you tell them to. Many people will just unfollow you. Use Goodreads wisely. Goodreads is a great way for people to find out about your book via word-of-mouth. Plus, fans of your books can check the site for the release date of your next novel. It’s also a good way to invite your “friends” to your book-release party. However, people often delete the announcements (unread) unless they’re excited about the book or the author is a friend of theirs (A real friend. Not a social networking “friend”). Other people have mentioned they are frustrated by the amount of spam being generated on Goodreads by authors using it to promote their book. Spamming doesn’t cause people to want to buy your book. It does the opposite. Word-of-mouth is your best promotion. When we love a book, we can’t wait to tell our friends about it. And when we share the same taste in reading as our friends, we are more apt to rush out and buy the great book they just read, even if we’ve never heard of it before. This is how many books become unexpected hits. It has nothing to do with the initial promotion, which is often lacking. Just look at Harry Potter. In the beginning, it didn’t receive any hype. Its popularity increased due to its fans: the kids on the playgrounds in England, gushing to their friends about the great book they just read. Be selective with your blog tours. You are better off having your book reviewed on a major book blog (if possible) than swamp your blogging circle with a blog tour. According to the comments on Elana’s post, most of us avoid reading guest posts that are part of a blog tour. This is especially true when a number of the blogs we follow are part of the tour. The exception is if the topic is of interest to us. Then we stop to read it. Remember the purpose of social networking. The key word here is social. This is your chance to make genuine friendships. Friendships that could eventually lead to positive word-of-mouth about your book. Keep your promotion small, unless you can spread it around so it’s not hitting the same people again and again. Every so often, subtly remind us about your book. I might not buy it right away, but the reminder later on might be all I need to pick the book up. This is more effective than over promotion, which tends to turn some people off a book. If you’re going to do an interview, KEEP IT SHORT. Most of us don’t have time to read to a 750-word plus interview, unless it’s by our favorite author. When doing an interview, keep your answers brief. You are better off spending the time working on your next book than spending it on a long interview that most people will skip or skim over. Make sure your book is professionally edited. There is nothing worse than reading a book that is poorly written and ridden with typos. And there is nothing more damaging to your sales than word-of-mouth about the poor quality of your book. The best edits include structural, line, and copy edits. Unfortunately, editing isn’t cheap, but if you want to do things right, it’s worth the investment. Start working on your next project. The best promotion for your last book is your next one. I recently read a book that I loved so much, I decided to read another of the author’s books. It happened to be the first book in a trilogy. I ended up also loving that book and bought the other two. And how did I find out about the initial book? A friend recommended it to me. That’s right. Word-of-mouth is a beautiful thing. How do you decide what books to read? Are there any forms of promotion that especially turns you off? Do you have any other suggestions for getting your book noticed? Stina Lindenblatt @StinaLL writes young adult and new adult novels. In her spare time, she’s a photographer and blogging addict, and can be found hanging out on her blog. This is the time of year when writing boards have their obligatory "Are you doing NaNoWriMo?" thread, and where among some writers, the peer pressure becomes intense. Will you? Won't you? If you're on the fence, people start urging you, "Do it! Do it!" National Novel Writing Month is awesome: don't get me wrong. I've done it twice and finished it twice, and I'm delighted that so many writers find it so invigorating. The challenge? Write 50,000 words during the month of November. Since a smallish novel can clock in at fifty thousand, this is the time for anyone who's ever said "I really should write that novel" to get in gear and write it. Forget the excuses and just put the seat of the pants in the seat of the chair...and write your novel. The scope has expanded beyond "I really should write that novel" to include even career novelists, and there's no shortage of writers publishing tips to help other writers. According to NaNoWriMo.org, it began with 21 participants in 1999 and expanded to over a quarter million last year. Obviously this is a felt need: it's a limited time, an easily-understood scope, and oodles of mutual support. Thirty days, fifty thousand words: about seventeen hundred words a day. So why am I not doing it? Especially why am I not doing it this year when I'm gearing up to do a lot of writing anyhow? Every writer has her own ideal pacing. It depends on your state-of-life, your obligations, your side activities, your energy level, and what kind of book you're trying to write. A mother of five high-need children who is coaching soccer and caring for her elderly father may count herself lucky to write two hundred words a day. A college student who considers coffee the real base of the food pyramid might clock in three thousand words a day without a problem. Moreover, a novelist may be able to write more than a philosopher, and obviously a poet will be generating fewer pages than even the philosopher...but these are all good. There's no one metric that works for all writers, and NaNoWriMo is an artificial construct. Moreover, some of us (for example, yours truly) need what I've referred to before as "a literary pause." In a literary pause, we're not blocked, but we find we can't write, at least not right now. It happens instinctually just before a pivotal scene, or a moment where we're going to need every bit of skill to craft the work. Those mini-breathers give us the emotional and mental energy necessary to get through the tough bits. We can overcome the lack of natural pauses by forcing through, but what that breeds is exhaustion. It breeds resentment. After a while, the book becomes your enemy, the word-count a living thing you need to fight and subdue every day, every day, every day. And after that month ends? Well, it's over. You defeated the book. Do you want to defeat your book? Do you want to have to look your book in the face after you defeated it, or after it defeated you? There's nothing magical about NaNoWriMo except that many writers find it helpful, and I'm glad for them. But for those of us who become competitive with ourselves, or who tend to take a guideline as an iron-clad rule, who don't realize we're sacrificing ourselves in pursuit of ourselves...for us, it's better not to start. Or to set your own goal, something more sustainable. Thirty-five thousand words in a month is just lovely. It's not a small novel, but it's half a regular-size novel, and at a gentler pace, you have the stamina to do it again. You don't have to sprint to run a marathon. In fact, I'm told that to run a marathon well, occasionally you need to walk. Two times I went the distance, carved out that extra half-hour a day and poured out seventeen hundred words every day, and two times, I crashed in December and didn't touch the book again until I absolutely had to. One is still unfinished. I don't dispute that National Novel-Writing Month helps many writers get a start, gain their confidence, and learn they're more skilled than they ever imagined. Someone who goes from "I should write that book someday" to "Wow, I can do this!" is a better person all around, and we should encourage that sort of self-discovery. NaNoWriMo taught me the value of graphing my progress. When I'm focused on finishing a project, I set up a ticker and update it every day, and I find motivation in "feeding the ticker." I encourage my friends who are struggling with their own NaNo projects, and I encourage those who are on the cusp of deciding whether to sign up. It may be for them. Similarly, it may be for you: you don't know until you begin, or until you finish. Just give yourself permission to back off if the pace is too much. The cutoff for "winning" is fifty thousand words, but if you "only" write thirty-five thousand words you didn't have before, I can't see how you've lost. For myself, I'm not doing NaNoWriMo again, not while I still have children at home, not while I still find my most comfortable pace to be twelve hundred words a day with a few random days off every month. Because for me, a hundred thousand words in ninety days births a novel just fine. Jane Lebak is the author of The Wrong Enemy. She has four kids, three cats, two books in print, and one husband. She lives in the Swamp and spends her time either writing books or ejecting stink bugs from the house. At Seven Angels, Four Kids, One Family, she blogs about what happens when a distracted daydreamer and a gamer geek attempt to raise four kids. To make her rich and famous, please contact the riveting Roseanne Wells of the Jennifer DeChiara Literary Agency. Be sure to check out the new and updated agent listings over on QueryTracker.net. If you've considered self-publishing as a way of getting a book contract with a trade publisher, Agent Janet Reid has some spot on advice at the kind of hurdles you'll be facing. The discussion in the comments is full of some great information too. Via GalleyCat, talks are underway for a possible merger of Penguin and Random House. There's been a lot of talk about Amazon being a threat to trade publishers over the last year or two. Mike Shatzkin discusses the latest and why trade publishers aren't in danger of their big titles being stolen as of yet. Author Patricia C. Wrede discusses publishing deadlines--bane or blessing? Via Porter Anderson (Writing on the Ether), are some great tips on getting the most out of your conferences. Lastly, editor and author Chuck Sambuchino delves into what you'll need to consider when promoting your book once it's been published. Danyelle Leafty| @danyelleleafty writes YA and MG fantasy. 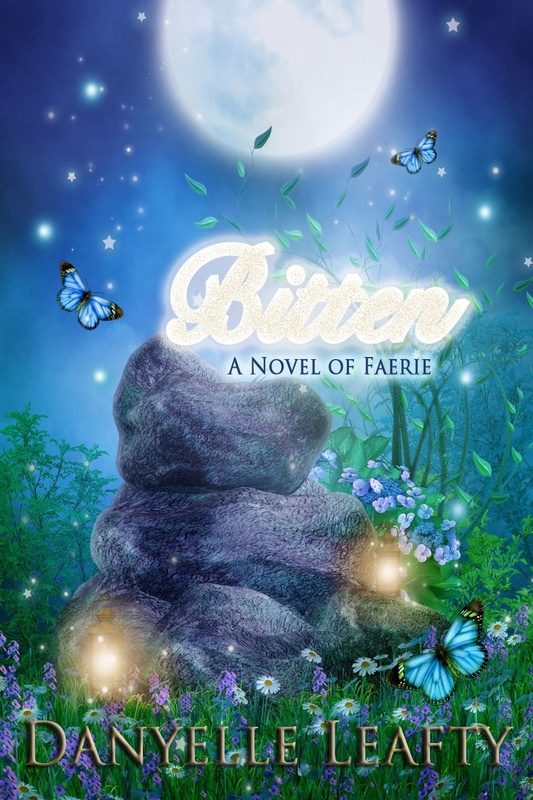 She is the author of The Fairy Godmother Dilemma series (Catspell, Firespell, Applespell, and Frogspell), Slippers of Pearl, andBitten: A Novel of Faerie, and can be found on her blog. She can also be found on Wattpad. If you stick around the Query Tracker community long enough, you’ll hear many a story of dogged persistence and eventual triumph. For authors, these stories are like good food and strong drink; they sustain us, sometimes make us drunk with their power. Last week I heard an incredible author’s story that just needed to be shared. Author Jillian Medoff got her big break before Query Tracker ever came online. In 1997, her first novel HUNGER POINT was published to great acclaim, which was followed by huge sales in 2003 when it was made into a Lifetime movie. Fabulous, right? And in 2002, her second novel was published. “And it flopped,” Medoff told me. "It had great reviews... and lousy sales." And it didn’t sell to a publisher. So for a time, Medoff gave up. “The truth about writing fiction is that nobody asks you to write, and no one cares if you do. In fact, it often feels as though people are actively arguing against it.” Ouch. Truer words were never spoken. The result was I COULDN’T LOVE YOU MORE (Grand Central / 2012). Vanity Fair calls it “daringly sympathetic,” and People magazine wrote that it was “dazzling” and “hilarious and heartwrenching.” “A gripping story of choices and second chances,” says the Examiner. And there’s a big blurb from Jodi Picoult on the front cover. This story gave me chills, because we’ve all had that rage. Sometimes things look grim, and quitting seems like the best option. 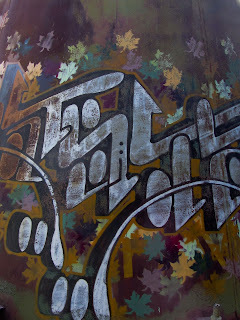 It takes a strong writer to conclude that failure doesn’t have to be permanent. Somehow Jillian Medoff proved that failure is only one stop on the train. And even if you step off there once in awhile, there is always a way to step back on again. 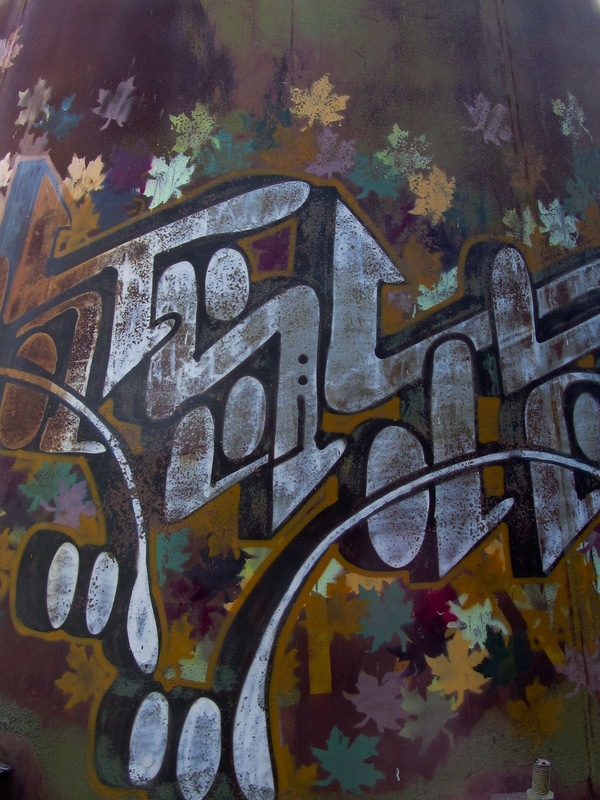 Says Medoff: "I am a working artist. While it's true that I have been published, it's also true that as a working artist, I am rejected in one way or another every single day of my life. I've seen the highest highs and lowest lows, but my failures are as important to my career as my successes; maybe they're even more important. In the end, I hope to one day have a body of work that will reflect how I've matured as a writer. I think it's the best I can hope for; that is, to do work I'm proud of. Everything else—publishing, great reviews, money—is the luck of the draw. To give up, though, ensures that you'll never get lucky." 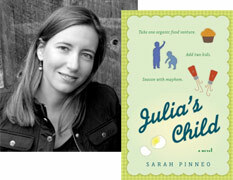 Sarah Pinneo is a novelist, food writer and book publicity specialist. Her most recent book is Julia’s Child. Follow her on twitter at @SarahPinneo. At least when it comes to fiction, I write the worst first drafts, and I know I’m not the only one. In Bird by Bird, author Anne Lamott says that her first drafts are so bad she worries about getting into a car crash and dying…because she’d never want others to see her stuff before she’s had a chance to revise it. Whether you’re an outliner or a pantser, things are still going to flow differently once you start writing, and insisting on having a reasonably good first draft may cause a variety of problems. First, it’s important that every writer realize that a first draft is just that – a first draft. No matter how great it may have seemed while you were working on it, everything needs to be proofread and polished up over several more passes. One of the biggest mistakes I see beginning writers making is that they’re impatient with editing – they want their masterpiece out there, already. Often before it's ready. But masterpieces not only require you to review the manuscript to work out the kinks, they also require feedback from others, who will let you know where the problems you can’t see are. And if you always consider your first draft terrible, you’re not going to be offended when others point out weak areas. Second, if you’re snailing along trying to get everything right the first time, you may not notice places that the novel’s tension drops. That is, when I’m writing frantically to get all the ideas onto the page in some form, I really notice when everything sloooowwsss down, and I know that those are places that are going to need particular work (or they may even need to be cut completely). I’ve always liked that Iris Murdoch quote, “Every book is the wreck of a perfect idea.” In other words, what ends up on the page may not capture your vision as well as you’d hoped. And if you’re spending the whole process worrying about that, you’re never going to accomplish anything. To put this into psychological terms, if your inner critic is sitting on your shoulder tapping its pointy-nailed fingers, it’s unlikely you’re going to break into a “flow” state. Flow, as defined by psychologist Mihaly Csikszentmihalyi (yes, you can pronounce that – it’s me-high chick-sent-me-high), is a state of complete involvement, elevated mood, serenity, great inner clarity, and a sense of competence. It is, in other words, that feeling you get when you’re completely immersed in a project, time is zipping by, and the words just flow. Csikszentmihalyi argues that this occurs when we have a perfect balance between our skill level and the challenge before us. If the inner critic is worrying too much about doing things “just right” the first time, flow can’t happen. I think of writing a book as a layered process. I see the first draft as the skeleton. It provides a framework. Next are the tendons and muscles and organs. The stuff that makes your story (forgive me for using this word) meaty. This stage takes several passes for me, each time building another layer. Finally comes the skin, the hair, the features. This is the fine-tuning, the polishing, the part that makes your manuscript truly presentable. If I think of something important that has the potential to interrupt my single-minded creation of the Terrible First Draft, here’s what I do. Let’s say I have an idea for what I want to write tomorrow, or somewhere farther along in the story. If you have an outline, or use outlining software, you may find it easy to pop those things in with a new notecard or file. But if you don’t know where the idea goes, or you don’t want to stop long enough to go back to your plotting board, you can always write the idea right in the first draft. I usually write these pieces in ALL CAPS (I started doing that in my manuscripts before that was known as shouting) or in italics. They just go in there wherever they occurred to me, single-spaced to make them stand out, and then I plunge right back into the story. Later I might move the idea into a writing program like yWriter so I can play with it some more, but when I’m writing, I’m writing. So don’t be afraid to write Terrible First Drafts. I know if I didn’t, I’d miss out on a lot of great possibilities. Plus I’d be too paralyzed to get much done in the first place. If you’ve never tried writing a Terrible First Draft, you might want to try NaNoWriMo, which starts November first. Writing 50,000 words (or more) in a month is one way to shut off the worry about producing something Good the first time. There’s no time to worry – only to write! So how about you? Do you write Terrible First Drafts? What are the benefits you’ve discovered? 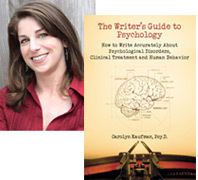 Carolyn Kaufman, PsyD's book, THE WRITER'S GUIDE TO PSYCHOLOGY: How to Write Accurately About Psychological Disorders, Clinical Treatment, and Human Behavior helps writers avoid common misconceptions and inaccuracies and "get the psych right" in their stories. You can learn more about The Writer's Guide to Psychology, check out Dr. K's blog on Psychology Today, or follow her on Facebook! 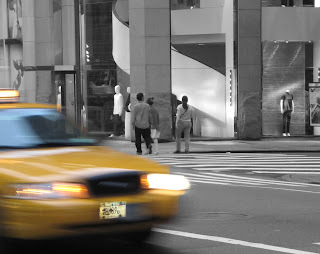 Come read the Success Story interview of Corinne Duyvis! Congratulations, Corinne! We've added five agents to the database this week and updated six. Please make sure you double-check every agent's website or Publisher's Marketplace page before querying. If you're a QueryTracker premium member, then you can be notified whenever an agent or publisher is added or updates their profile. If you're not a premium member, you can just check for yourself. It's a shame our resident psychologist Carolyn Kaufman isn't the one doing the pulse this week: a large-scale study shows a convincing link between being a writer and having mental illness, particularly depression or schitzophrenia, and also possibly autism. More on that study here. She'd have something intelligent to say about it, but all I can say is, "It figures." Johnny Depp is starting his own book imprint with HarperCollins, Infinitum Nihil. Amazon.com alerts readers that they will be entitled to credit on Kindle books, in accord with the ebook settlement. (I received a similar notification from Kobobooks.) If you want your credit in the form of a check rather than store credit, you must fill out the form before December 12th, 2012. Other ebook retailers may have different methods of requesting a check instead of store credit. The final decision on the amount will not be decided until February. O Happy Dilemma: Rachel Kent advices what to do if you receive an offer before you have an agent. Some police gunfighting tips for writers. A NaNoWriMo professor shares his tips for finishing your NaNo novel. Check out ten ways to syndicate your writing online. That's all we have for now. Until next week, keep sending those queries! Jane Lebak is the author of The Wrong Enemy. She has four kids, three cats, two books in print, and one husband. She lives in the Swamp and spends her time either writing books or ejecting stink bugs from the house. She also wonders if anyone reads these author bios. At Seven Angels, Four Kids, One Family, she blogs about what happens when a distracted daydreamer and a gamer geek attempt to raise four kids. If you want to make her rich and famous, please contact the riveting Roseanne Wells of the Jennifer DeChiara Literary Agency. Story isn’t about plot. It’s about emotion. It’s the element that leaves your body tingling in fear or anticipation for what will happen next, and what readers want from the first page to the end. But how do you bring in emotion to add maximum power to your story? Universal theme will help your readers connect to the characters and emotions in the story. These are themes that everyone can relate to, even if they can’t relate to the specific circumstances of the story. For example, how many of you know what it feels like to have the mob kill your family? None of you, I hope. Now, what if you wrote a story about how your protagonist’s best friend tells her uncle, who happens to be the Godfather of the local crime family, that she suspects the friend is the estranged daughter of the family he’s been salivating to kill, after her father turned state evidence on his former boss? Depending on how you set up the story, you can choose to focus on the universal theme of betrayal. At one point in our lives, we’ve all experienced the feeling of being betrayed. Now we can relate to the character and the emotion of the story, even though we have never, thankfully, gone through the same experience. Another word for character wound is backstory. This is where you create the most painful past possible for your character, and let it guide your character’s actions. The type and depth of wound will be dependent on genre. The wound then plays a part in determining your character’s fears, and it is the wound and fears that make the character vulnerable. Since he doesn’t want people to know his vulnerability (especially the antagonist), he creates a persona that protects him from being hurt. For example, you could have a character who lost his parents due to an accident and is bounced around the foster care system. He ends up in the worst of homes, where the foster parents only care about the money. He’s neglected and abused. He learns not to trust adults, and because he’s bounced around so much, he learns not to develop attachments to other people. He becomes the bad-boy loner, complete with tattoos. Inside, he’s still the caring individual he was before his parents died, but he refuses to let people get close enough to discover this. That is, until he finds the right girl. Naturally, you would not dump this information on the first page. Write the backstory down in a separate file, and fit slivers of it into your story. Start with the small stuff, hinting of the possible wound, and as the story progresses, hit your reader with the most emotional, gut wrenching parts of your protagonist’s past. Your reader will keep turning the page, because she wants to find out what really happened X number of years ago. It’s a great way to build emotional suspense. The first thing you want to avoid when writing emotion is telling. “Go away,” he said angrily. In the above sentence, the writer is telling the reader that the character is angry. We don’t get to experience his anger. You can switch ‘said angrily’ for yelled, but there’s a stronger way to show emotion. He gripped the ends of the armrests and took a long, slow breath. “Go. Away.” The two simple words, meaningless on their own, held a dangerous edge when spoken without his usual warmth. He could only hope that Lydia was smart enough to understand what he was really telling her. She was a b**** and a traitor, and he would rather spend eternity in hell than spend another minute listening to her heartbreaking lies. In the first example, you learn nothing about the character. By showing the emotion through action, dialogue, inner thoughts, visceral reaction, setting (more about this in a moment), you reveal characterization. One character might scream and hurl breakable objects at the wall when he is angry. Another character might speak in a calm yet deadly tone, and reveal his anger through body language, like in the second example. Same emotion. Two different ways to show it. Words are powerful, but only if you pick the right ones. Use words in an unexpected way to add emotion to the sentence. These are typically your theme words or scene-related ones (i.e. if your scene deals with death, your power words would be related to death). For example, ‘He watched the light bleed slowly out of day . . . . ‘ (Whispers by Dean Koontz). Notice the difference, emotion wise, between that and ‘He watched the daylight fade . . . .’ The former sentence was created to give you the shivers. Try this trick to add dimension and emotion to your setting. Use words to show a shift in emotion and mood in the scene. The scene could start off with words like ‘skip, sunshine, rose-scented’, but as the mood and emotion change, you weave in words like ‘trudge, stench of rotting corpses, spiraling down’. For the most impact, figure out what emotions you want to show in the scene, brainstorm verbs and nouns that best convey them, then slip them in as needed. 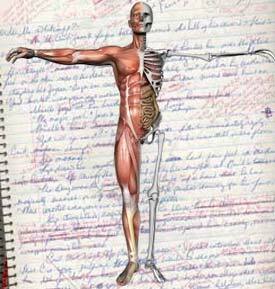 This is a great way to add imagery to your writing. The best way to learn how to put emotion in your story is to study your favorite novels (or short stories, if you write them). Pick ones similar to what you want to write. For example, if you want to write a tear jerker, then that’s what you should study. Rip them apart and examine how the author approached the above elements. Then apply what you learned to your WIP. I’ll be talking more about analyzing stories in an upcoming post. Do you make sure that your story is rich with emotion before you write the first draft and while editing?